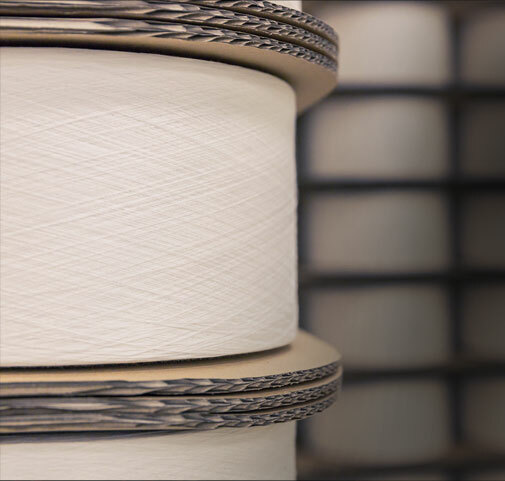 develops, knits and refines modern textiles for various industries at the traditional location of Limbach-Oberfrohna. Our portfolio of products consists of high quality knitted fabrics and goods in different bindings, qualities and styles and is held in high esteem by both our national and international clients. The combination of Saxon textile traditions, modern technological standards and unique development potentials makes NOON a premium circular knitting producer. The people in this region have textile production flowing in their veins! 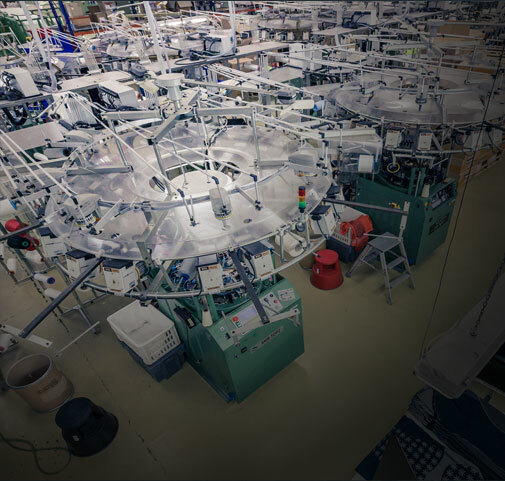 For generations, whole families have found a home in the textile industry. The cause of that is Saxony’s remarkable history in the field of textile production. At the beginning of the 20th century, the Saxon textile industry became a world leader in this field. 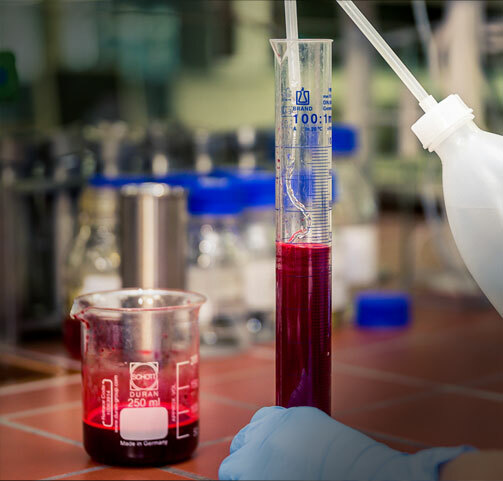 After the political change in 1990, the state of Saxony managed to maintain and renew many highly innovative and future-oriented companies and scientific institutions. One of the companies that revived the traditional textile industry in Saxony was the NOON textile factory, which was formerly known as Riedel Textil GmbH. is leaving the operating business. Textile production in our blood. Designer spirit in our heads. International flair in our hearts. NOON develops fabric collections with the aim of inspiring designers with the ideal “resource”. 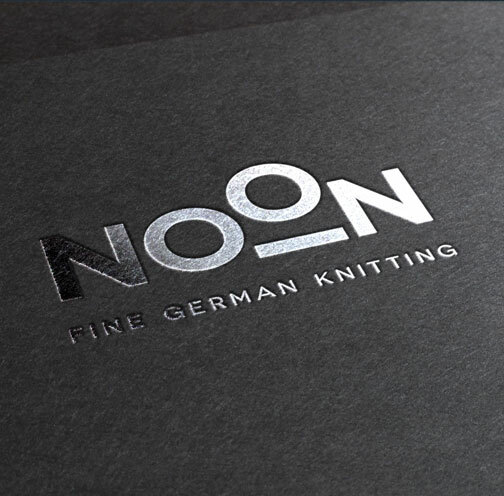 „NOON FINE GERMAN KNITTING“ - We at NOON see ourselves as specialists in the field of circular knitting and as a premium producer of textile knitted goods with the highest quality. Most of NOON’s employees were “born into” this profession and have been trained at the regional scientific and educational institutions. This unique knowledge of textiles is mirrored in their everyday work. Some examples of NOON’s big potential for development are our own creations such as the Jersey Quality E44 or the sportswear brand st.able, which is equipped with fabric structures that stimulate the muscles. Among the materials we use in the production of our NOON jersey fabrics are yarns made of natural fibres (such as cotton or linen), yarns made of synthetic and cellulosic fibres (like polyester, polyamide, viscose or modal) and fibres of animal origin (such as wool or silk). These are the raw materials for NOON’s portfolio of printed qualities, laminates and ready-made final products in the business divisions Fashion, Function and Technical. NOON’s knitted fabric collections are permanently refined and enhanced. Together with our network of strategic textile partners, NOON constantly has an eye on the market and is thus able to spot trends early on. Many of NOON’s new fabric compositions were inspired by our clients. An effective partnership can lead to client-specific and innovative product solutions. A lot of our potential for development stems from our close relationship with universities and other research facilities from the textile and textile machine engineering industry. This locational advantage enables NOON to realise close-knit cooperative projects in line with market requirements. NOON stands for a sophisticated understanding of quality that manifests itself in all branches of our company. 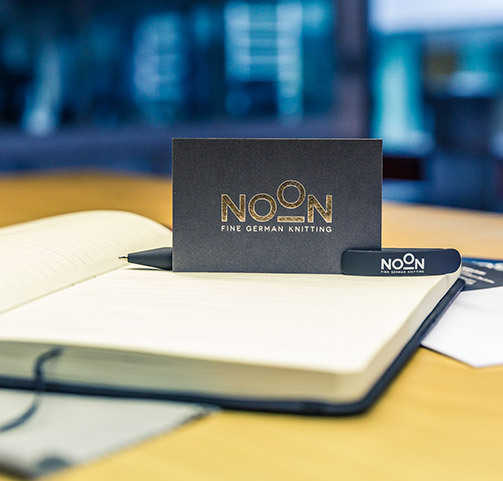 In combination with our code of values it forms the foundation of NOON's company culture. 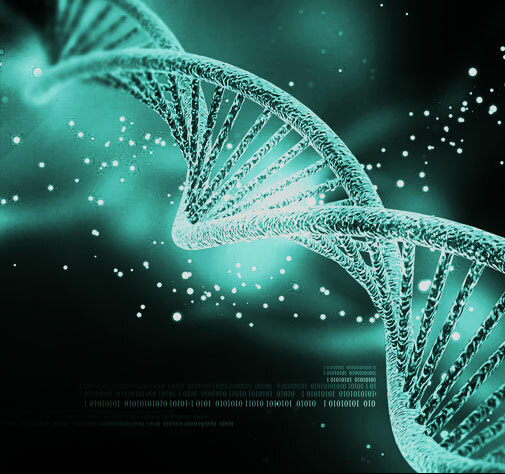 Our quality consciousness is reflected by an array of certificates and accolades and it follows legally standardised quality management systems.